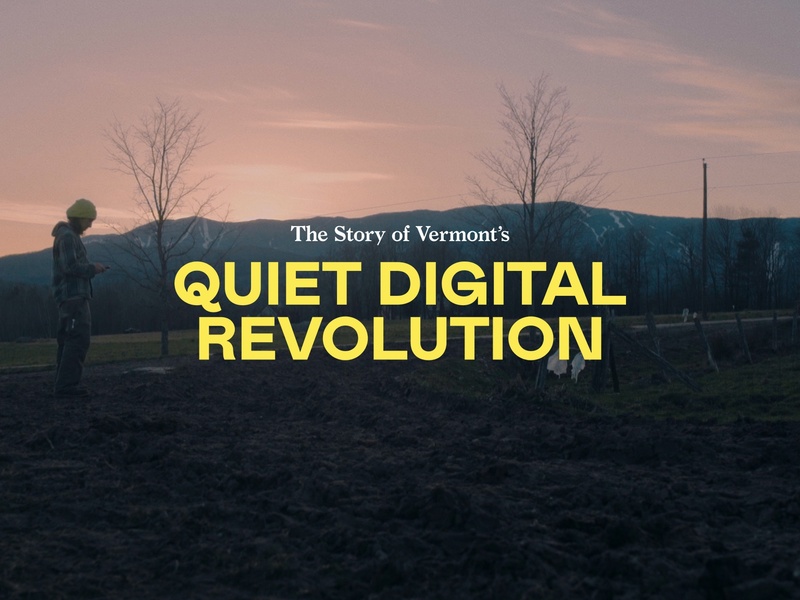 The title card for our promo material for TWG's first ever original documentary - "The Story of Vermont's Quiet Digital Revolution"
This is the story of a social media that ONLY exists within the borders of Vermont. Where many have rejected the larger platforms, this homegrown alternative intends to foster closer neighbourly communication -- but how does that translate into real life? Communities and behaviours are changed by the simple ways we interact online and this film follows several Vermont residents as they explain how their lives have been changed. The title was designed by @Wayne Thayer ✌️ from TWG. The film is directed, produced and edited by me. Produced by Holly Knowlman and Mike Dunn. Shot by Kieran Crilly. Coloured at Alter Ego Studios. Mastered at Toronto Sound. The film was part of the official selections of the 2018 FIN Atlantic Film Festival and the 2018 Vermont International Film Festival.